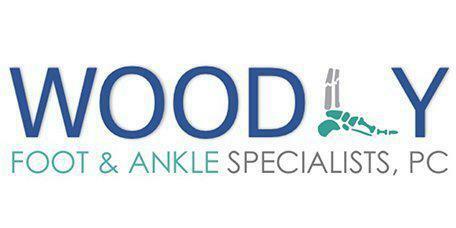 Dr. Charlton Woodly and Dr. Asia Jackson of Woodly Foot & Ankle are podiatry specialists with offices in Weatherford and Richland Hills, Texas. They treat conditions that affect the foot and ankle including one of the most common problems to affecting the heel – plantar fasciitis. Dr. Woodly focuses on providing care and recommending lifestyle changes in the prevention and treatment of plantar fasciitis. Plantar fasciitis is inflammation of the tissue that runs across the bottom of your foot and over the heel, connecting the heel bone to the toes. The plantar fasciitis serves as a shock absorber that helps to support the arch of the foot. Too much tension creates tears and flare-ups in the fascia. Plantar fasciitis is a problem often experienced by people who run, either for exercise or as a sport. Runners tend to put stress on this section of tissue causing it to swell. The problem can be chronic for people, due to a number of factors like footwear and how their feet hit the ground with each stride. Obesity and poor footwear can also lead to this painful injury. Plantar fasciitis is hard to miss if you have it. You feel a stabbing pain in the bottom of your foot, near the heel. The pain might be worse in the morning as your muscles wake up, after exercising, or after long periods of standing. There are known risk factors for this condition, although some people develop it with no obvious cause. It can be more common in older people, for example. It’s also common for people working in certain occupations, such as teaching or factory work, particularly when the job requires standing for a long time between breaks. Plantar fasciitis can haunt people with flat feet or high arches, too. Conservative approaches are most effective for this condition such as icing the foot, rest, and mild stretching. For more serious or chronic cases, Dr. Woodly or Dr. Jackson may recommend physical therapy to strengthen the lower leg and stabilize the heel. In some cases, surgery might be necessary, especially if scar tissue builds up on the fascia causing chronic inflammation. Additionally, laser therapy can be a conservative treatment option for Plantar Fasciitis with many advantages over traditional care. Laser therapy has been clinically proven to increase circulation, drawing oxygen and nutrients to damaged areas, thus, an optimal healing environment is created. For many patients painful injections and surgical procedures can be avoided. Part of the treatment plan includes educating you on how to prevent further injury such as the best ways to stretch prior to running and how to pick the right training shoes. Dr. Woodly and Dr. Jackson also use stem cell treatments available for a nonsurgical option for patients looking to heal their plantar fasciitis without surgery. This is a cutting edge approach that Dr. Woodly has incorporated with great success. For more information about this approach, call the office and schedule an appointment today.